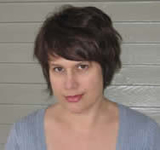 Paula Morris was born in New Zealand. For almost a decade she worked in the record business in London and New York. She has also worked as an advertising copywriter and brand strategist. Paula holds an MFA from the University of Iowa and a D.Phil from the University of York, England. She’s an Assistant Professor of English at Tulane University in New Orleans. Learn more at Paula Morris’s blog. CLICK HERE FOR MORE BOOKS BY PAULA MORRIS. Ghost Stories for Teens — (2009-2013) Young adult. Publisher: Rebecca couldn’t feel more out of place in New Orleans, where she comes to spend the year while her dad is traveling. She’s staying in a creepy old house with her aunt. And at the snooty prep school, the filthy-rich girls treat Rebecca like she’s invisible. Only gorgeous, unavailable Anton Grey seems to give Rebecca the time of day, but she wonders if he’s got a hidden agenda. Then one night, in Lafayette Cemetery, Rebecca makes a friend. Sweet, mysterious Lisette is eager to talk to Rebecca, and to show her the nooks and crannies of the city. There’s just one catch: Lisette is a ghost. A ghost with a deep, dark secret, and a serious score to settle. 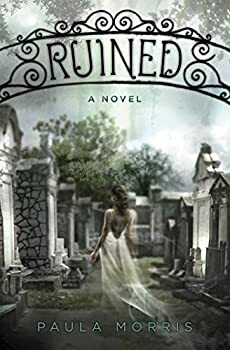 As Rebecca learns morefrom her ghost friend — and as she slowly learns to trust Anton Grey — she also uncovers startling truths about her own history. Will Rebecca be able to right the wrongs of the past, or has everything been ruined beyond repair? There's nothing I like better than a good ghost story. And New Orleans is a great city to set one in. In fact, Ruined's greatest strength is its setting. Because I've been doing research on NO for a project of my own, some of what the book offers is stuff I already know. Even so, all of it is fascinating, especially for people only just being exposed to it. Paula Morris paints the city into the perfect backdrop for her ghost story, setting it right down between history and modern day in such a way that you could easily believe that the story has its roots outside of the author's imagination.